Following its Chromebooks aimed at the education market, Lenovo added a pair of Chrome OS(s goog) laptops for consumers on Tuesday. The new devices are very similar to the Chromebooks meant for classrooms and are called the N20 and N20p. The N20 arrives for sale in July for $279, while the N20p launches the following month for $329. Both share the same Intel(s intc) Celeron chip that is now becoming fairly standard in Chromebooks, save for a few models from Samsung and HP that use the same type of processor found in smartphones and tablets. The pair also comes with an 11.6-inch display with 1366 x 768 resolution, Wi-Fi, Bluetooth, up to 16 GB of internal storage and 100 GB of Google Drive capacity. The extra $50 for the N20p adds a touchscreen display, capable of 10 simultaneous touch points. That screen also folds back up to 300 degrees, allowing the N20p to be used in a standing mode. 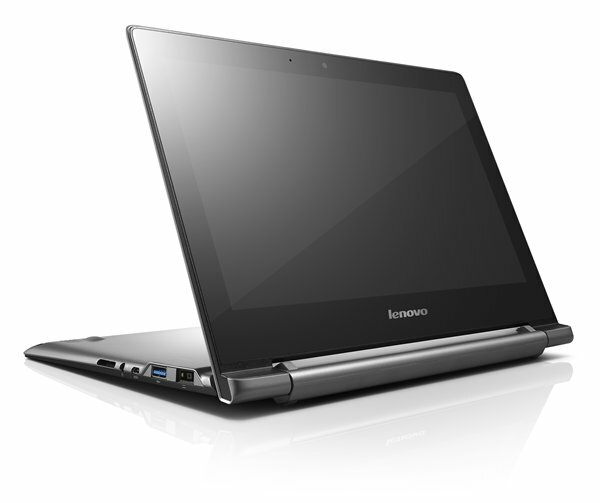 If that sounds familiar, it’s because Lenovo’s Yoga 11e Chromebook does the same thing. In fact, the N20p is essentially a consumer model of that computer, while the N20 is similar but lacks the folding display feature. Love the show and keep up the good work. I’m completely not interested, and oddly enough I’m actually more excited about the chromebase. I’m looking forward to hear more about the ASUS Chromebook but so far, as of this date the, the Acer c20p and c20 are the best chromebooks in the market.